A new documentary, “Paying the Price for Peace: The Story of S. Brian Willson,” chronicles the journey of this internationally known peace activist, who now lives in Portland. Producer-director Bo Boudart began working on this film five years ago, when Willson published his memoir, “Blood on the Tracks.” Willson had served as an Air Force lieutenant, leading a combat security unit of 40 men at a small Vietnamese airbase. “My experience in Vietnam changed my life forever, as was the case for so many young men and women who found themselves struggling for physical and psychic survival in the jungles, rice paddies, and villages of Southeast Asia,” Willson wrote on his website. S. Brian Willson has traveled the world, witnessing human suffering instigated by U.S. policy. Eighteen years after Vietnam, a period characterized by career restlessness, struggles with his own post-traumatic stress disorder, and sinking hopes for changing our country back to the “America” in which he grew up believing, Willson traveled to Nicaragua and saw firsthand the Contra war. There, he recognized the pattern of violence perpetrated on an innocent peasantry, and he heard from the mouth of President Ronald Reagan awful and yet familiar self-justifying lies. Willson began to care desperately about ending the killing in Nicaragua. He fasted on the steps of the national Capitol, organized a Veterans Peace Action Team to walk through Contra ambush areas and protested the shipment of arms to Nicaragua. In 1987, while protesting outside the Concord Naval Weapons Station, a military train carrying munitions to the Contras ran over him. It turned out that train personnel were actually under orders to speed up, should anyone be demonstrating on the tracks. Willson lived, but lost both legs. Upon his release, Willson returned to the protest on the tracks in a wheelchair. Today, he gets around on prosthetic legs, making it look almost easy. For 20 years, he traveled the world as a self-made ambassador to people suffering the effects of U.S. foreign policy. He was particularly struck by Korea, which he visited on eight separate trips, and the history of a war so similar to Vietnam, yet so unknown to most of our own citizens who paid for it. In 2008, Willson and his wife, Becky Luening, moved from Arcata, Calif., to Portland, in search of a cycling community, an Amtrak station, and a Veterans Affairs hospital. He meant these to be his reflective years – Willson turns 75 next month – but it appears he will soon be traveling again, as this film makes the rounds of festivals before it is released to theaters. Since 1969, when the Rev. Berrigan wrote those challenging words, we have sent troops to countless countries until finally, in 2001, we began an endless Orwellian war whose name simply changes as the years wear on. “Paying the Price for Peace” is a film that should be seen in colleges, high schools and theaters around the country. Perhaps it can rekindle our hopes of peace and infect the rest of us with an activist’s courage and resolve, that we may someday use our tax money for teachers and health care, instead of this killing that we sponsor throughout the globe. Martha Gies is a Portland writer who has taught human rights and lobbied for low-income housing. Produced and directed by Bo Boudart, 2016. Narrated by Peter Coyote. 110 minutes. 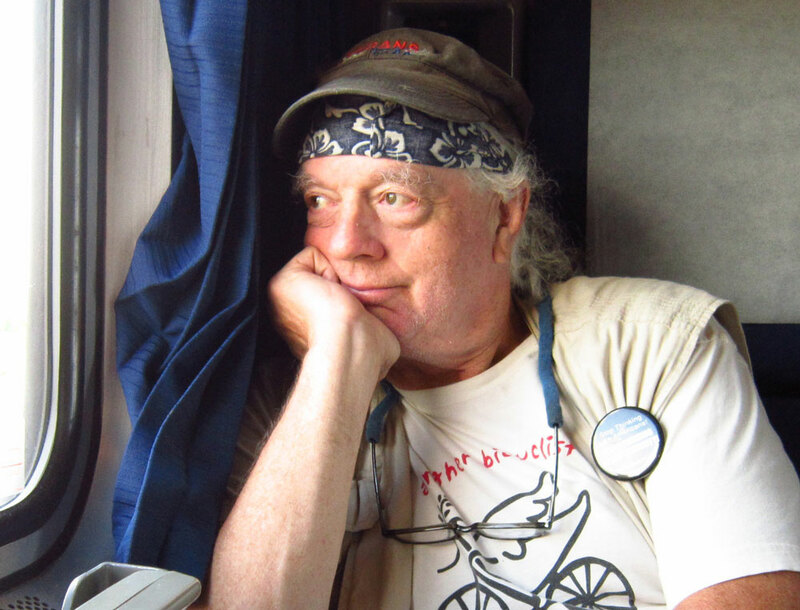 Vietnam Veteran S. Brian Willson paid the price for peace by nearly being killed by a military train during a nonviolent protest. Since then, he has not stopped calling attention to the U.S. government’s defiance of international law through waging endless illegal wars. “Paying the Price for Peace” exposes the truth about the United States’ addiction to war and the lies it perpetuates in order to wage ongoing violence.